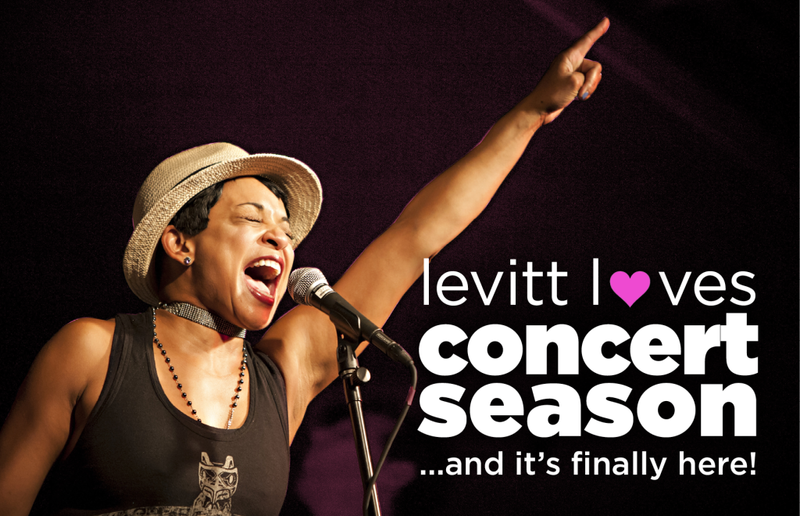 Levitt loves…concert season (and it’s finally here)! Last Sunday, the Gate City Divas officially kicked off the 2016 Levitt concert season in Greensboro, N.C. This lively shot of soulstress Danielia Cotton was taken at the 2015 Levitt AMP Trenton Music Series—which will bring life to Capital Green once again this summer! This month, we’re also looking forward to concerts starting at Levitt AMP Denison, Levitt Pavilion Arlington and Levitt Pavilion SteelStacks! This entry was posted in Uncategorized and tagged Danieliea Cotton, Gate City Divas, Levitt AMP Denison, Levitt AMP Trenton, Levitt Pavilion Arlington, Levitt Pavilion SteelStacks on May 3, 2016 by Nicole McGaffey.